As You Read. Weeks 12 & 13. 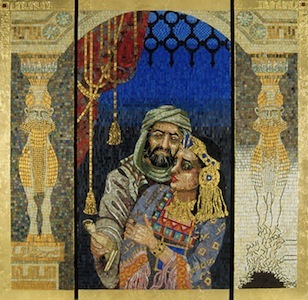 Esther and Jonah. 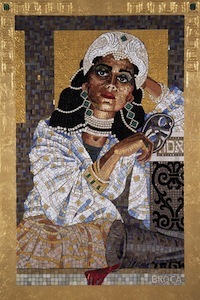 As you read the fascinating books of Esther and Jonah, think of them as within the genre of short stories or novellas. Watch the way the storyteller sets the plot and develops the characters. Listen for the historical context: they both are told within the real history of Israel. Consider how these stories address the core eternal questions: Who is God? Who are we as God’s people? The story of Esther and her uncle Mordecai are tales from the Diaspora. After the Exile, many of those who had been forced to leave their homes in Palestine made new homes in Babylon. After their release, many of the Jews returned to rebuild their devastated country but many Jews and their descendants built new lives in foreign lands all over the world. In spite of this wide spread presence and the good intentions of Jews to be good citizens in their adopted nations, history (as well as current events!) document repeated pogroms and periods of persecution against the Jews. A popular Jewish saying even in our day is: “They tried to kill us. We survived. Let’s eat.” That’s the Esther story in a nutshell. The celebration of Purim that continues to this day is instituted in this book of Esther. Esther was probably written fairly late, years after the Babylonian Exile. It also was accepted into the Jewish canon fairly late, maybe because Esther is the only book in the Bible that doesn’t explicitly mention the name of God. Although the story represents what it means to be Jewish in a positive light, the fact that God is not named as the unambiguous Jewish Savior causes discomfort for some. But I love this story; I’m grateful the Hebrew Scriptures offer several stories of strong women from the tradition of the Jewish people. And then we have the odd little novella of Jonah. 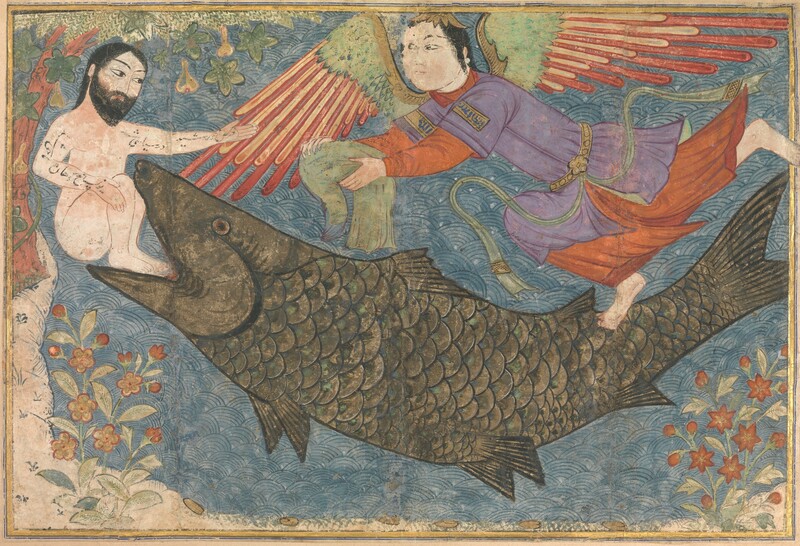 The story of Jonah and the Big Fish is supposed to make you smile. It’s filled with satire and tongue-in-cheek humor; with keep-you-reading plot twists and with characters that make you wonder: who are the “bad guys” ?! and who are the “good guys” ?! Jonah surely is a dark hero in his role here as reluctant prophet, but his place among the prophets of Israel is extremely important because this is an unusual voice, a minority opinion, in the multi-voice witness of Scripture. Occasionally, some of “the nations” are described favorably. Certainly some individuals from among the Gentiles stand out in some of our favorite stories (the wonderful story of Ruth comes to mind). But generally the historical stories and the prophetic warnings portray the nations as irredeemably wicked and inherently dangerous to the spiritual and physical well being of Israel. Assyria in particular was the historical nation that conquered and destroyed the Northern Kingdom of Israel. Those Ten Lost Tribes of Israel were never heard from again. But in Jonah, the brutal empire of Assyria is redeemed by a God who is “a gracious God and merciful, slow to anger, and abounding in steadfast love, and ready to relent from punishing” (Jonah’s burning accusation in 4:2!) This amazing grace is portrayed as unacceptable to the character Jonah, but the over all prophetic witness of the book claims that God’s steadfast love is for all people, not just for Israel. This really is an astounding counter-claim. For any people who see themselves as “chosen” and “favored,” it is tempting to see those who are “other” as inherently outside of God’s favor. But the startling, stubborn message of Jonah is that the Creator is, has always been, and ever will be concerned for all creatures of the Creation. Abraham and his descendants were called to be “blessing” for the nations of the earth (Genesis 22:18). Part of the purpose of chosen-ness was for Abraham’s family to offer lives of witness to the reality and grace of the one true God. But Jonah is portrayed as one whose life turned inward; as one who forgot to live his life as a witness to grace. Sadly, the history of the Christian Church too often tells another story, one that is all too similar to the story of the reluctant prophet Jonah. Instead of welcoming all those whom God welcomes, Christians are too often seen as judging and excluding. Instead of rejoicing in the wild and wide diversity of those whom God is calling and crafting into a people, Christians are too often seen as fearful and resentful of those who are not like us. The prophetic witness of the book Jonah still speaks to us today because the prejudices and presuppositions of the character Jonah challenge us to search our own hearts and unearth our own biases. The fascinating stories of Esther and Jonah challenge us to consider anew the eternal questions: Who is God? and Who are we?